For quirky, colourful and highly functional cook and bake wear, make Le Creuset at Phoenix MarketCity, your best friend. 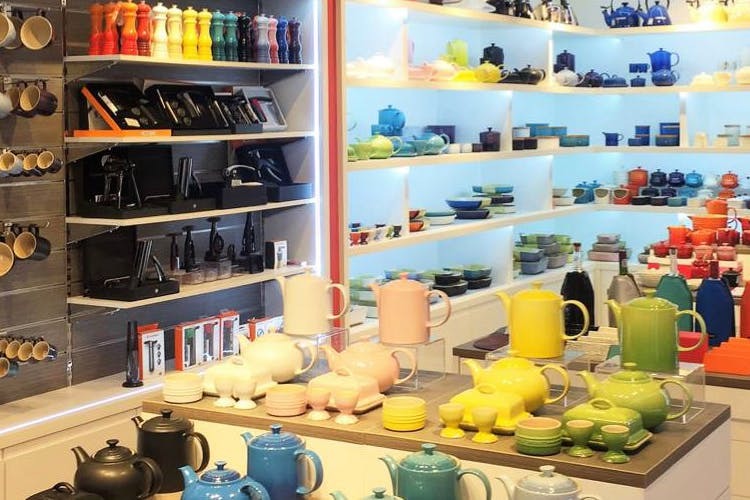 If you’re interested in cooking and baking, or just prettying your kitchen, Le Creuset will catch your eye. And with years of credibility under their belt, nothing should stop you from cooking in pots and pans in bright reds, yellow and other pops of colour. Ideal for those who love cooking and baking, Le Creuset’s range in lovely colours, shapes and sizes might even turn those not interested in kitchen business into full-fledged fans. This branch of Le Creuset is especially endearing because it’s a tiny little store but they have everything you need. All their cooking pots are wrought iron and you can use them in the oven as well as on the stove! The mini crocottes at Le Creuset in Phoenix Marketcity are perfect for bakes-for-one.